I could do the free space today, but I’ll wait until I get back home (I’ve been doing the recent few posts on the road). Plus, the other free space posts have been on Tuesday, so I might as well keep the pattern going. First off, let’s make things official with the new blog. Judging from the dates on MyAnimeList, the new season should be starting on July 2nd (Saturday). I’ll be switching to the new blog on Thursday, June 30th in preparation for this. This gives me a couple of days to work out any bugs that might happen when switching the domain to a new server. What does this mean for you? In a perfect world, you log on to my blog on Thursday (later in the day) like you do every day and it will just look different. Let’s not talk about the worst-case scenario. Let’s try to get something anime-related in this post. Something easy: what are you most excited for in the coming summer season? For me, the safe answers are Shokugeki no Souma S2 and ReLIFE. But let’s be fair with something I don’t already know. I guess I choose Orange…genre-wise, it seems to fit my style and the time travel aspect will keep me entertained. Random final note: It was announced that the Iris Zero manga will be starting up again soon…I’m hyped. Like last season, I’ll probably do some follow-up posts focusing on specific series, but for now…let’s do the obligatory run through all of the series in the coming season. I know how excited you all are, but if you’re too excited to read through everything, the summary is further down as always. Fukigen na Mononokean – I mean…sure, if it’s a short. Love Live Sunshine – Me? Watch this? I have no idea what you’re talking about! Hatsukoi Monster – I’m not sure on this one. I might judge from the first episode. B-Project: Kodou Ambitious – This seems sketchy. Can I just listen to the soundtrack when it’s done? Saiki Kusou no … Nan – Not even gonna attempt that character (I think it’s “psi”). This series looks quirky enough to watch, but I’ll pass on blogging about comedy. Puzzles & Dragons Cross – Hahahahahahahaha no. Show by Rock Short – Normally I would watch shorts, but I never saw the original series, so probably not. Taboo Tattoo – Ehh…why not? Let’s try this one. I’m totally not being baited in by the mystery tag. 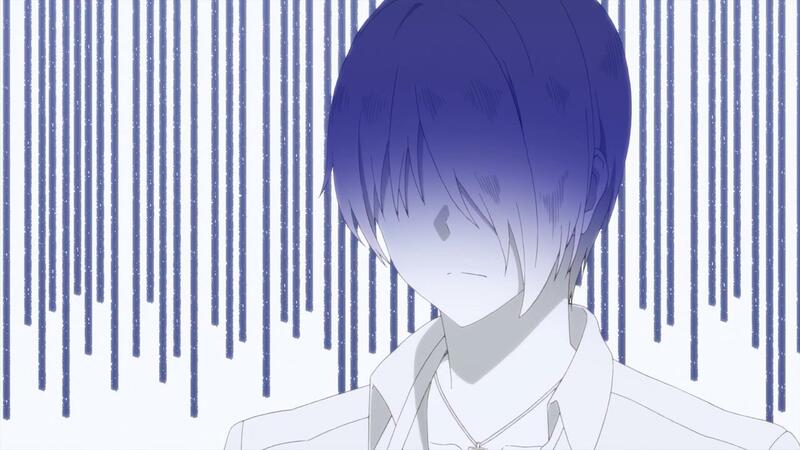 Fudanshi Koukou Seikatsu – I have enough trouble watching series about fujoshi…why would a fudanshi be any better? Prism Illya 3 – Nooooooope. Kono Bijutsubu ni wa Mondai ga Aru – Seems generic enough to ignore. Planetarian – Post-apocalypse world? Sounds fun…I can’t remember if this is one of the VNs people love or hate. Is this a trap? 91 Days – More historical series? Well, I watched Joker Game, so I feel like I have to at least try this one. Arslan Senki S2 – Oh yeah, I was gonna watch the first season of this series. Well, if I finish it in time, I might watch this second season, but it’s not looking likely. Battery – Not sure about this one. I’ve never watched a baseball anime and I’m not a huge fan of the sport. Active Raid S2 – Nope. 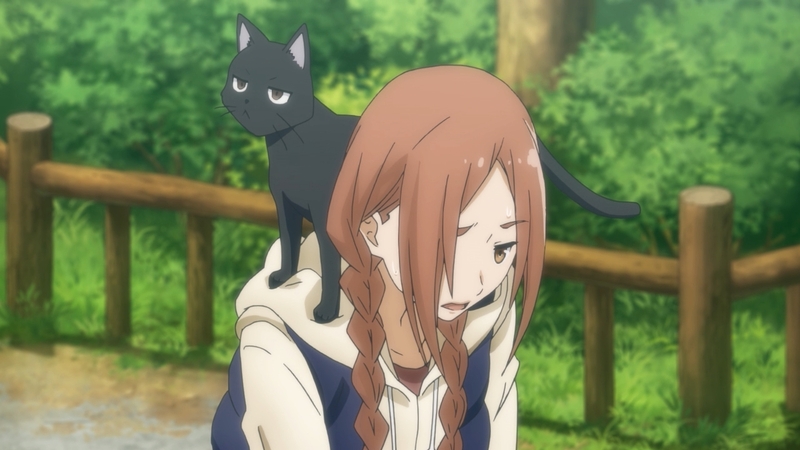 Handa-kun – Probably going to be watching this one, but I doubt I’d cover it. I’ve been reading the Barakamon manga, which has been interesting, so this should be fun. I feel like high school days wouldn’t be as interesting, but I don’t mind trying it out to see if I’m proven wrong. Shokugeki no Souma S2 – Yes! Ozmafia – …what? Can I not? Onara Gorou – No…just no. I already know what the comments on this show are going to be and I refuse to be part of it. Qualidea Code – Seems dangerous, but I might try out the first episode. Amaama to Inazuma – Not too sure about this one. Doesn’t look immediately interesting. Nejimaki Seirei Senki – From first glance, it’s a pass, but I might try it out. Regalia: The Three Sacred Stars – Can I skip on the mecha this season? New Game – I’ve read the manga for this series, so I’ll probably watch it. Masou Gakuen HxH – Hahahahahahahahaha no. Dangan Ronpa 3 – You know, I don’t really know about this one. On the one hand, half of the series is devotes to the characters from the first Dangan Ronpa, which I watched. But the second half is on Dangan Ronpa 2, which is a game that I didn’t play. So…maybe? General thoughts – A decent number of manga adaptations that I recognize this season, which makes things fun. I feel like there are a lot more “safe” series this season…where I know enough going in that I feel comfortable watching them. Sigh…I guess I need to take some risks and choose some unknowns, do I? Weekly plug for the side blog (Marth’s Totally Legit Site on the sidebar). No big updates this week other than putting more stuff in the about page. I was trying to change the media links so they matched the domain of the website, but that didn’t work out so well…still needs some tweaking. So, I covered the first two episodes of this series, but I couldn’t keep going. Since the series is separated into multi-episode arcs for each trial, it’s really hard to watch this series weekly. I feel like you lose too much information in between episodes, so I tend to let the episodes pile up and watch entire trials at once, which makes the experience more bearable. 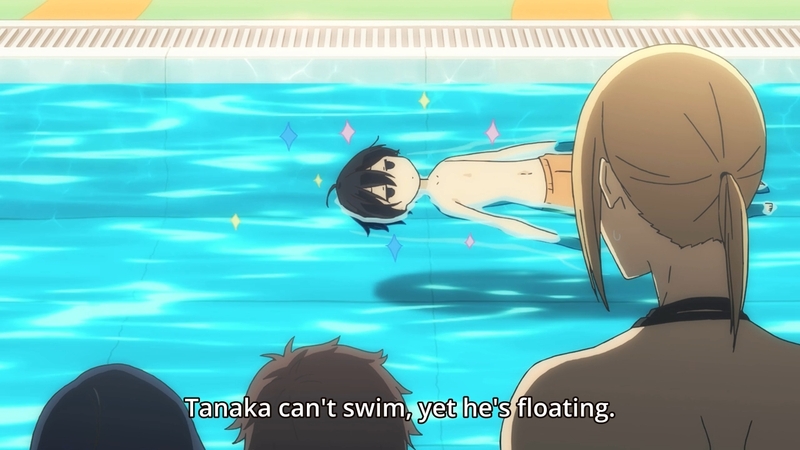 Overall, the series tends to be decently funny, but that may just be because of how ridiculous it all seems. The way the people in the court act often seems unrealistic to me. They seem to act in ways that are obviously suspicious and try to get away with it using the system. Like smugly saying “there’s no way you can prove exactly that thing happened”. Is this really what courts are like? I often find myself asking that. 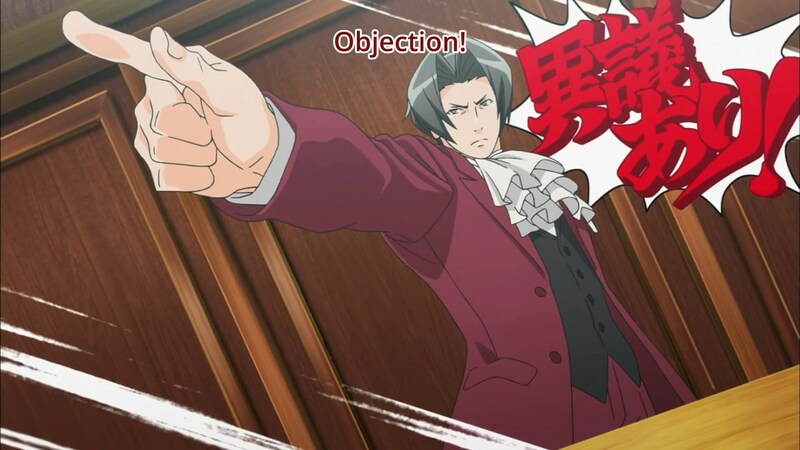 I will say, though, that the recent arc centered on Miles Edgeworth (Mitsurugi Reiji) has been more interesting than the earlier mysteries, showing more of the character and explaining his behavior. That being said…does anyone else ever come up with other interpretations of the evidence that could be argued in the court that never get resolved in the series? Like in the recent episode, the prosecutor argues that the bullet must have gone through the victim in order to make a hole in the wall on the elevator, but then the suspect admits to pulling the bullet out of the victim (meaning the bullet couldn’t have gone through the victim). I found it weird that no one brought that up…oh well. This song comes from my “epic music” list. Didn’t get as much time to analyze the Yoko Kanno music as I had liked (so many songs). Still a work in progress, though! Instead, enjoy this cool song. I’m a sucker for piano melodies that move like this. Okay, let’s start things off with the weekly plug for the side project blog: linked here. While there weren’t all too many visual updates this week, the major thing is that I tried to make the layout more responsive, so it scales better on mobile devices or smaller screens. Those of you that regularly use mobile devices or smaller screens should totally let me know if stuff looks weird. Also, the plan to replace this blog with that blog in the next anime season (summer 2016) is still on track. If you’re not familiar with AnimeSongCollabo, they tend to have “mass” releases of covers for OP/ED songs in recent anime. This week, they released a new set of them. I don’t watch a lot of these series, so I’m not familiar with all of the songs, but there are definitely a few really good ones in here. I really liked the cover for Sakamoto’s OP because it really shows off the drum part and how intense it is. Also, the Mayoiga OP cover was a better take on the song (I’m really not a fan of the original) and the Bungou Stray Dogs OP cover was particularly well done. Probably expect some Yoko Kanno next week. I’m planning on doing some research into her music this week. Let’s start this week’s random post with some random updates on Marth’s Totally Legit Site. Most of the updates I’ve done so far are functional changes that my life easier when I make new posts, but I found this cool new CSS template that I’m going to be adding to the site soon…I know how much you are looking forward to that! Also, in case you’re not watching Big Order (which you’re probably not), this is still the greatest scene in anime this week. I was thinking of doing Sansha Sanyou this week, but I didn’t think this week’s episode was a strong episode for the series. Instead, I’ll just do a brief aside on Kuromukuro because I’ve almost given up on the series. This week’s episode gives us the conclusion for Yukina’s temper tantrum which boils down to “I didn’t say I wouldn’t go in the giant robot…I just wish you would treat me nicely when you make me do it.” Who thought this was a good idea? Granted, I’m sure that’s not Yukina’s only reason to reject piloting the giant robot, but I’m going to have side with Kennosuke on this one. I’m going to toss out a warning before you listen to this…be careful around 2:32. The video does a really random sound change that can be pretty loud and obnoxious. It’s something that I didn’t hear in the actual song, but I couldn’t really find much better versions on Youtube that weren’t blocked. Anyway, this is more of a plug of the band in general. I only found them because I heard they’re doing the opening song for ReLIFE and I wanted to check them out. Honestly, I think this is just solid JRock, which I feel is sometimes hard to find. Some of their other songs like “wasteland” do a really cool job of handling high tempos and I always appreciate listening to stuff like that. Definitely looking forward to what they do in the next season. If you haven’t noticed yet, I’ve been using this day as a free space to give myself a break from my regular style of posts. My past couple of weeks have made me question whether I should even write a post on this day, so I’m going to try and formalize this post so that it actually has some content rather than being a filler for the day. Before I get into that, random announcement: I’ve moved my code for the new blog over to my secondary domain: http://codebecauseican.com/. This is where the site will live until I migrate this domain to it. Judging by current pacing, I’m hoping to get the migration done in the transition from spring season to summer season…assuming nothing big holds me back. Most of my remaining changes are going to be under the hood, so let me know if you have visual suggestions. In the meantime, I’ll probably be posting about the technical pieces instead of anime-related stuff on the new blog. Hopefully those are interesting. I used to have a weekly music thread, but I ended up running out of stuff. Instead, this will likely be a short thread where I just point at some song that I thought was good or a song that’s I’ve been playing a lot in the past week. I didn’t even mean to find this song. I found this on Otonomai (one of my music sources) because I was looking for Chinese music yesterday. The music sounds like it’s computer-generated, but that piano melody is strangely captivating for me. So, I promised an announcement last week and I’ve spent the past week finally implementing the last pieces of functionality that I wanted on…the new blog website! You can find it here: Insert Blog Link Here. Currently, it’s mostly a test site hosted on Heroku as a bit of “proof of concept”, but hey…it’s a start, right? I’ve shown various people different prototypes of this, but I finally decided to just publicize it so people can find the stuff wrong with it. Note that Heroku apps usually go to sleep when they’re not being accessed, so don’t freak out too much if there’s a bit of lag before initially loading the site. Heroku is not my long-term plan. My hope is that this blog will eventually replace this one (these things cost money, you know?). As for what my motivations are…well, other than money, I’ve outlined a bit of an explanation in the first post on the blog (hint hint). Out of laziness, I’m not going to copy it here. There are a lot of improvements that still need to be made on the new site, but I’m sure that together with the power of hard work, we can hire an Asian kid to do it. Still pissed at me? Here, listen to Kabaneri’s soundtrack and calm yourself down…or prepare for battle. Up to you. One of these days, I’ll stop being so lazy and come up with a better way to do this post, but NOT TODAY! As always, the summary will be at the bottom for a TL;DR version, but I like to think that everyone who reads these posts reads the whole thing…helps me sleep at night. 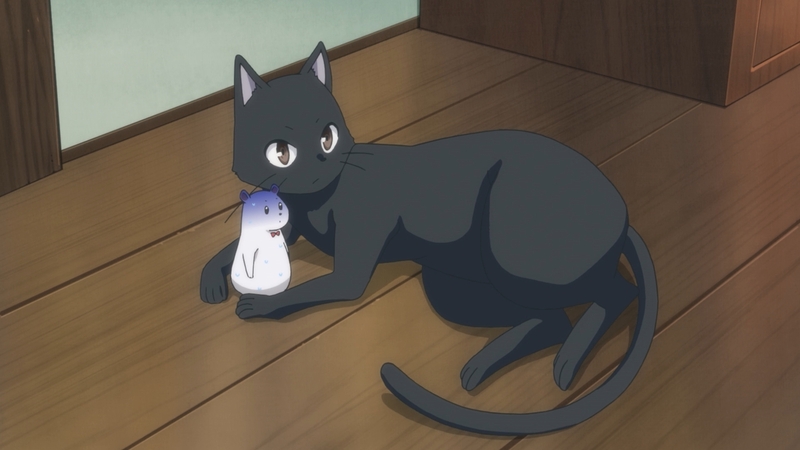 Kanojo to Kanojo no Neko: Everything Flows – This one is already out, and it’s actually pretty good. It’s only four episodes, each 7-minutes long, so it’s a very small time investment for a decent and simple story. God Eater – Yeah, yeah…I’ll get a post for the final episode of this out at some point. Stop reminding me! Mayoiga – Out of the block of shows that air on April 1, this is probably the one I’ll pick (or maybe I’m just playing a cruel April Fools’ Day joke). I’m usually a sucker for the utopia/dystopia concept, so that’s enough to get me curious (though I’m not sure if the utopia aspect even plays a role in the story other than luring the kids to the village). Uchuu Patrol Luluco – If this is a short series, I might watch it. If not, I’m not entirely sure…doesn’t sound too alluring just from this description. Gyakuten Saiban – I never got into the Phoenix Wright series, so I don’t have an immediate interest in this series. Put this one down as a maybe just because it’s a popular game series and I’m not against watching it if it’s a decent series of mysteries. Ragnastrike Angels – Oi, if I didn’t watch Busou Shinki, which was about small combat girls, what makes you think I’m going to watch a series about enlarged combat girls? Gundam Unicorn RE:0096 – Oh yeah…I still haven’t finished the Gundam Unicorn movies…one of these days. Macross Delta and Concrete Revolutio: Choujin Gensou both fall into the category of sequels for which I haven’t seen the first season. 12-sai – Sounds like a short anime…if so, I’m fine with watching it. Pan de Peace – Please no…seriously, are they just going to talk about bread? Seisen Cerberus: Ryouukoku no Fatalite – Sounds like a typical “boy sets out to defeat the demon lord” story…not sure what I’m supposed to be getting here. Joker Game – I’ll probably watch this out of curiosity, but I don’t know if I’ll cover it (I’m guessing it will be like Young Black Jack and no one else will be watching). Sousei no Onmyouji – I’m reading the manga for this and it’s alright so far. I don’t usually like to cover adaptations of manga I’ve already read, but I might based on how many other shows I’m watching. Kuromukuro – Mecha? Sure, why not? Koutetsujou no Kabaneri – I feel like I’ve seen this series compared to Shingeki no Kyojin (perhaps it was just a comparison of the technology they use). If so, I’m interested enough to watch it. Shounen Maid – IT’S A TRAP! Tanaka-kun wa Itsumo Kedaruge – Another possible short anime? Kiznaiver – Ehh…what could go wrong? The premise reminds me of a Netflix series called Sense8, which I never got around to watching. Anyone else get that sense? 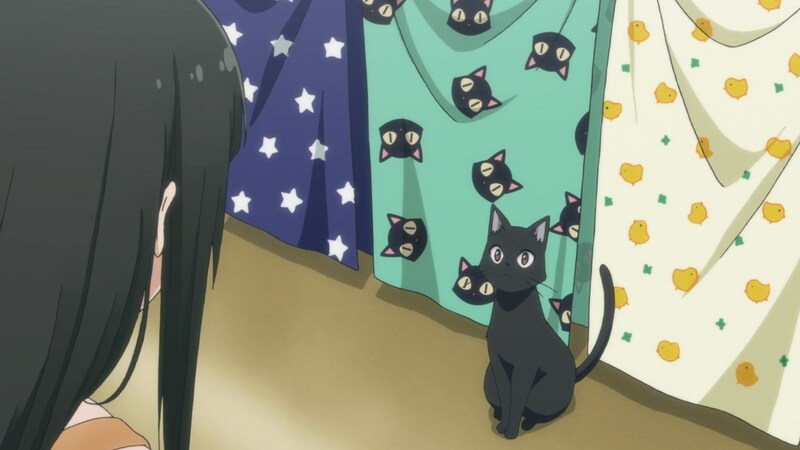 Flying Witch – Another series where I’ve read the manga. It started out okay, but just got boring…nothing really happens. General thoughts – Nothing really jumps out at me for this season. Most of the series I have listed as potentials are complete unknowns. It feels like there will be more potentials in this season than last season, so I’m going to be optimistic. Okay, I’m way too lazy to make a post today, so have this awesome reaction picture. Unfortunately, there’s no new episode of Gundam Iron-Blooded Orphans this week, so this is all I got. I’ve been playing Recettear way too much these past few days to spend more than 10 minutes on this post. Since I’ve been reading so much manga recently, I’m probably going to start making some posts about them. I haven’t figured out whether I’m only going to focus on completed series (which feels bad because there aren’t that many of them) or just talking about running chapters like I do with anime (which feels like there wouldn’t be enough to say). Anyway, I have some time before the winter season starts, so expect some beta testing. Tomorrow’s post is probably going to be about music from 2015. It’s not going to be a top 10 of openings or endings…probably just a list of songs I liked from 2015. Hopefully all of my youtube links don’t get blocked by Sony or Ponycanyon before then.